On the 23rd November 2018, we organised and hosted an incredibly cosy event in Berlin that we called the Vuejs Amsterdam Roadtrip. This was the 3rd location we had visited on our Roadtrip and the reception was phenomenal. 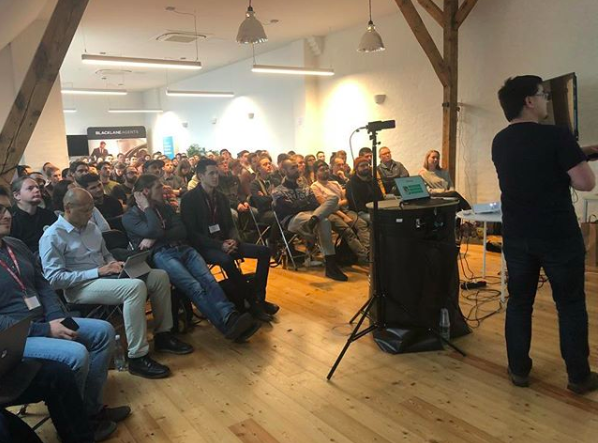 With over 170 Vue developers and enthusiasts attending, and 10+ incredible speakers, it was truly an exceptional event! The day started quite early for ourselves of course, arriving at the venue at the crack of dawn in order to set up the room for the joy that was to come! We were lucky enough to be hosted by the awesome company Blacklane Engineering who also helped providing a large portion of the catering! Their help on the ground with organisation was also indispensable. We’d like to wish a massive thank you to all the wonderful speakers who came from every corner of Europe and beyond to speak at our mini-conference. And the sponsors who, without their help, such events wouldn’t be possible. Finally, thank you to all the incredible attendees who came to support us on this wonderful day. It may have been the first time we’ve been in Berlin for an event but it surely won’t be the last!